Five years ago, we chose The 100 Best Business Books of All Time. Since then, thousands of business books have been published. In 5-4-3, we chose four books from each year since completing The 100 Best that are worthy of your time and suggest three ways you can experience each of them. 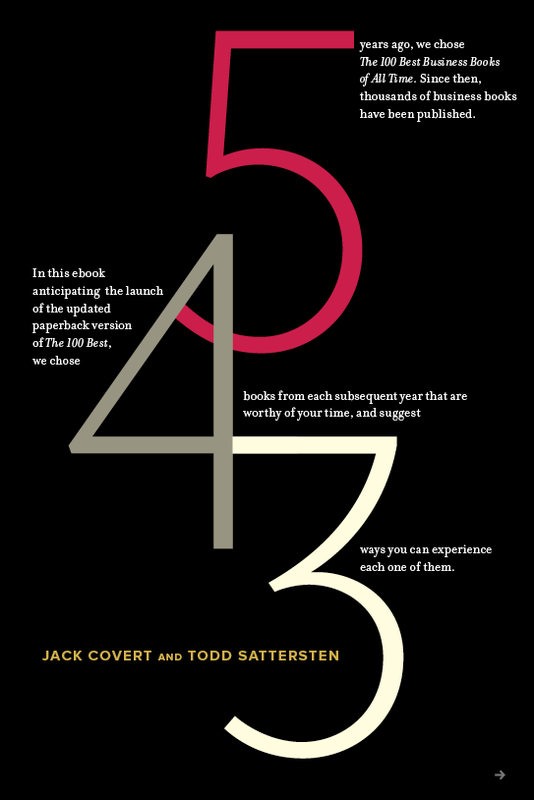 You can now buy The 100 Best and download 5-4-3: the perfect pairing to inspire yourself and others in the new year.